Whitewater Rafting & Skirmish Paintball for one killer price. Battles & Paddles – also known as Skirmish Paintball and Whitewater Rafting. This is our oldest and most popular combination package. 2 days of both adrenaline packed excitement and thrilling adventures. On day one you will play Skirmish Paintball – the biggest paintball game in the world. The next day, go whitewater rafting through the exciting Lehigh River Gorge in Jim Thorpe… talk about an adrenaline booster! Overall, this package is about as flexible as it gets. You can flip flop adventures and go whitewater rafting on day one and play Skirmish Paintball on day two. Battles & Paddles is available any 2 consecutive days April through October. 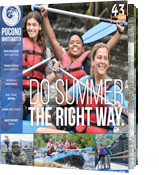 If you would like to reserve a two day Battles and Paddles Adventure in the Poconos, please give us a call at 1-800-Whitewater (1-800-944-8392). If you would like to reserve a two day Battles and Paddles Adventure, please give us a call at 1-800-Whitewater (1-800-944-8392). 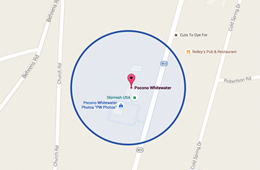 Your photo is taken on the river and at the Skirmish paintball fields. Including paintball gun rental, paintball goggles/facemask rental, unlimited N2 air fills & professional paintball referees.